South River Stone offers the widest selection of stone in the North East, including Granite, Ledgestone, Marble, Sandstone and Limestone. We feature native Nova Scotia stone as well as stone options from across Canada. Looking to face your new home in stone, commission a chimney or a stone fireplace, incorporate a stone patio and walkway on your property, accent your driveway with stone lamp posts- look no further- we have a wide selection of stone to choose from, plus we can do all the masonry work too. We sell our natural stone to homeowners, contractors/builders and masonry companies. Call us with any questions you might have. 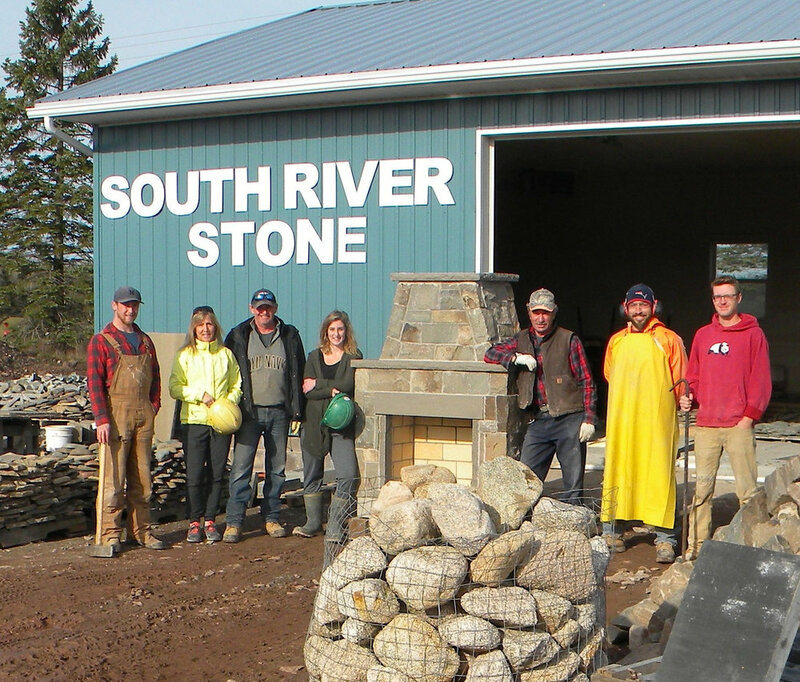 South River Stone is a division of Francis Arsenault Masonry, Inc., founded in 1990 by its owner Francis Arsenault. Today with 14 full and part time employees, we offer the widest selection of local, natural Nova Scotia stone and masonry work in the province. Our selection and range of bricks, granite, blue stone, sandstone and river/fieldstone provide a colourful spectrum with diverse textures to compliment any masonry project. We also produce our own eco-friendly, natural, thin cut stone that is affordable and versatile for both residential and commercial applications. With a total of 75-years experience, there is no project our team of skilled masons cannot successfully handle.